You will earn 21 WayPoints for each product that you purchase. 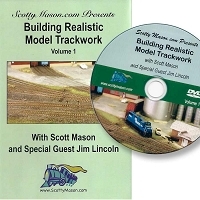 Want to reduce the time it takes to build a turnout by up to 30%? 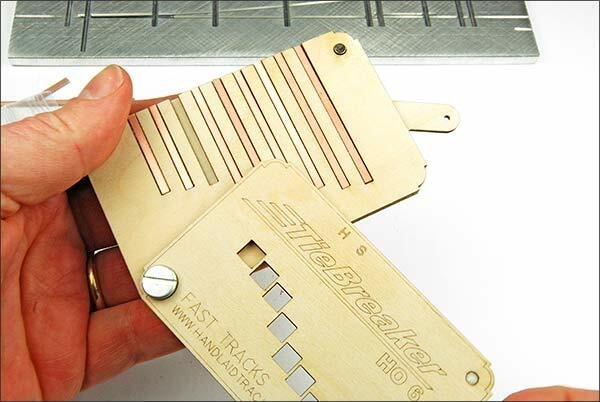 With the Fast Tracks TieBreaker PC Board cutting tool you can! 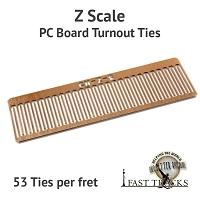 By holding each PC Board tie at just the right position, the TieBreaker tool makes it fast and easy to cut each PC Board tie to the exact length that you need. 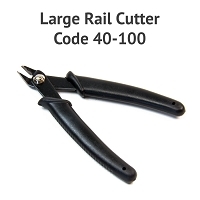 Just cut the tie to length with a pair of rail cutters, file the ends of the ties with a file, and you are done in just a few minutes! 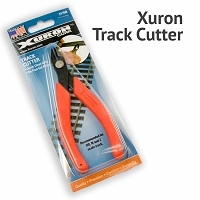 This TieBreaker tool is designed to work with the Z, #6 Turnout assembly fixture. 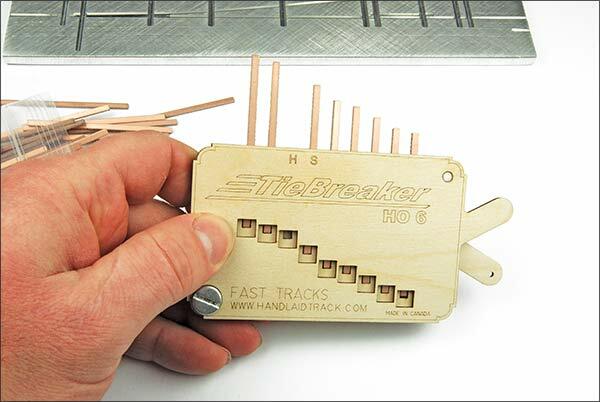 The TieBreaker comes as a laser cut kit and needs to be assembled. Assembly only requires some wood glue and a screwdriver. 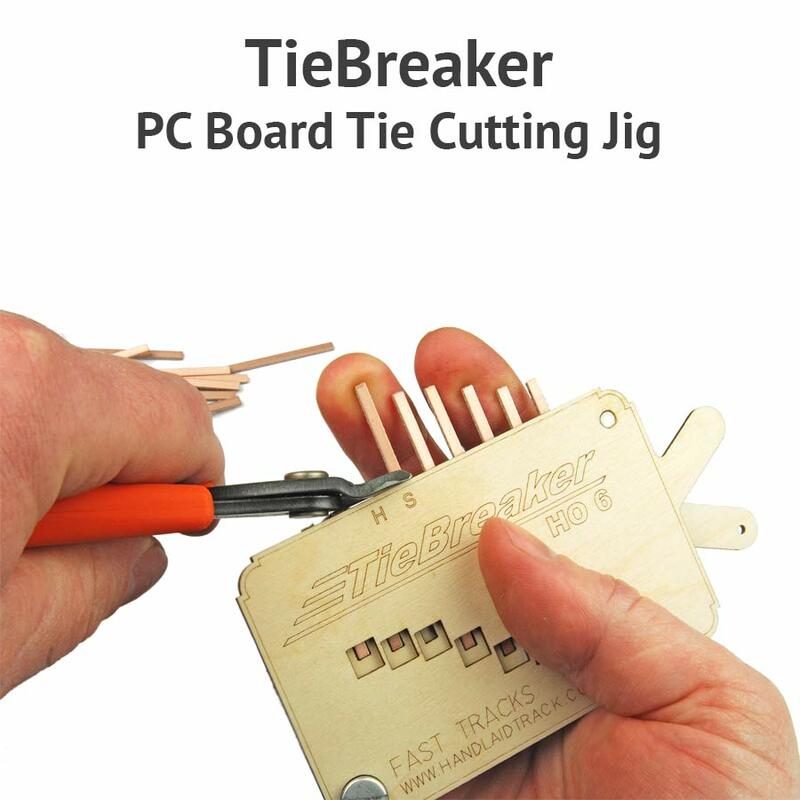 Start by inserting a PC Board tie into each pocket in the TieBreaker. 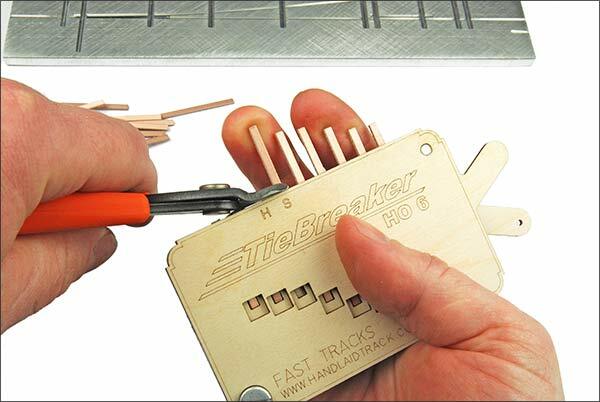 Each slot in the TieBreaker will hold the tie in position to cut each tie at just the right size. A magnetic latch holds the top of the tool in place. 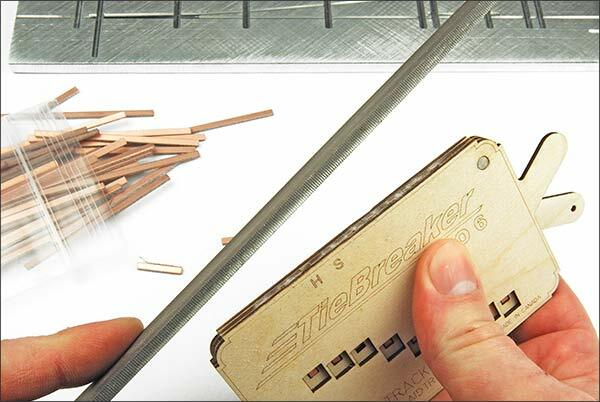 Next, cut the ends of each tie flush to the edge of the tool with a pair of cutters. 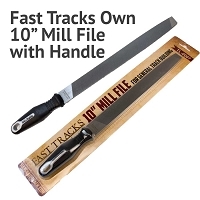 Smooth the ends of the ties with a large file. Open the TieBreaker tool and remove the cut ties. 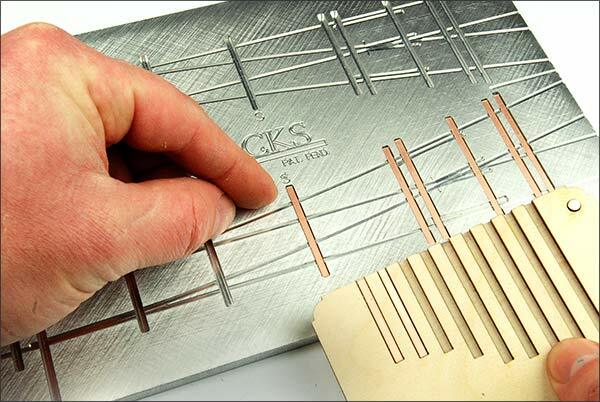 Insert the cut ties into the fixture and you are ready to solder!